The CoreDial platform is proven to be the best at enabling you, our Channel Partner, to succeed as a provider of cloud communications, and we’re just getting started! In fact, from the days of our VoIP hosting services to today with the launch of our new UCaaS platform called CoreNexa, we’ve just leapfrogged the competition. Since 2005, CoreDial has been focused on building a channel platform that enables your success. With over 800 Channel Partners in our programs, more than 26,000 businesses and 320,000 seats (growing every day), the numbers don’t lie. With our private label SaaS platform, you will be able to offer more than just class-leading sip trunking solutions, you will become the feature-rich company end users seek out. By launching our new UC and Mobile clients, as well as our new, award-winning Contact Center & IVR capabilities, we’re demonstrating to existing and new Partners that we can be trusted to invest in what they need and want so they can remain competitive indefinitely. The CoreNexa UC Client is the next evolution of business communications. Built from the ground up to deliver a great user experience, compelling and useful features, and ultimate value, CoreNexa UC was created to satisfy the modern communications and collaboration needs of businesses small or large. With one easy-to-use interface, your customers can take their business communication solution anywhere they have a desktop or laptop computer. Paired with or without a desk phone, this drives productivity and satisfaction so your recurring revenue streams become even stickier. Today’s employees work from anywhere and everywhere — the office, the road, and virtually wherever their business or personal lives take them. They need highly flexible and reliable unified communications so they remain productive. CoreNexa Mobile for iOS and Android was purpose-built to extend the capabilities of our UCaaS solutions to mobile devices. Mobile means users can communicate while on the road, and missed calls can be a thing of the past. Time away from the “desk” no longer has to result in a lack of productivity. Use CoreNexa Mobile to help your customers remain agile, deepen user engagement, and further secure your reputation as a trusted advisor. Together with CoreNexa UC, you’ll provide your customers with the highest-quality solutions that exceed your clients’ expectations. CoreNexa CC, our omni-channel Contact Center and IVR solution, is the newest addition to the CoreNexa platform. It enables Partners to deliver exceptional value, and address the most demanding needs of today’s modern cloud contact center requirements. Combining award-winning Contact Center as a Service (CCaaS) and IVR capabilities with a class-leading UCaaS and SaaS platform has never been easier. Delight your customers and create long-lasting, differentiated solutions, while building margin-rich recurring revenues. Building on our platform of success and staying true to our core are what helps us remain a valuable asset to our Channel Partners. 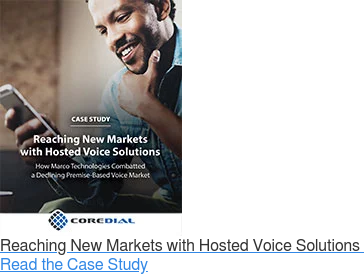 Now more than ever, CoreDial’s partners can successfully sell, deliver, manage, and invoice for cloud communications to existing and new customers. We provide a powerful and flexible SaaS platform that helps smaller partners offer new products with “quote-to-cash,” and we also integrate well for larger partners who have internal systems that we need to complement. With the most flexible branding strategy available in the market we encourage Partners to private label or co-brand depending on their desired go-to-market strategy. We are committed to our role as a private label UCaaS, CCaaS and SaaS platform and business model provider. Our Partners' needs and our desire to help you compete and win drive our software roadmap and influence any business program we launch. 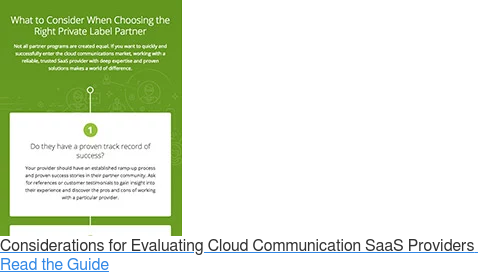 Ours is a long-term commitment to your cloud communications success. Our passion is empowering you to quickly and cost effectively sell, deliver, manage, and invoice for cloud communications under your own brand. Our private label platform allows you to focus on customers. For over 13 years, our proven platform has enabled our Partners to offer feature-rich services like cloud Hosted PBX, VoIP, and SIP Trunking. Now, we’ve enriched the platform with the modern end-user capabilities of UC Client, Mobile, and Contact Center. Be confident offering your customers reliable and secure cloud communications services that will continuously delight and exceed their expectations. Transform communications without new hardware or software. Your customers can work from anywhere. Connect existing customer on-premise equipment with our voice network.